I actually saw this a few weeks back, but haven’t gotten around to posting the picture yet. 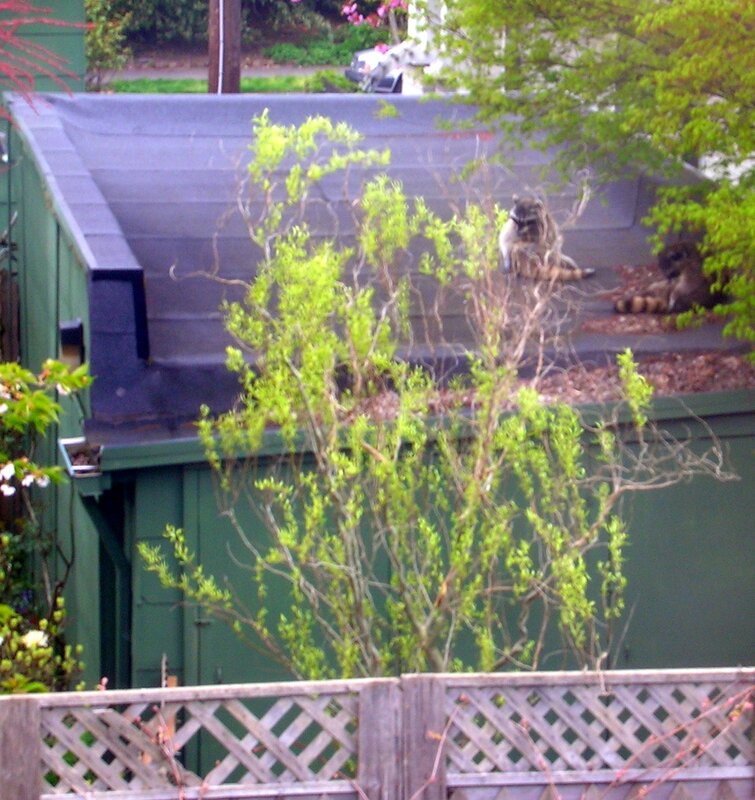 Two raccoons one after the other, walked on top of the fence alongside our yard, over our shed, across the fence at the back of our yard, and then straight back along our neighbor over the back fences fence to their garage. They then got up on the garage and began to groom and nap. Unfortunately, I didn’t have my camera with me while they were walking on the fence, and I wasn’t willing to miss them doing that while I got the camera, so you’ll have to settle for them on top of the neighbor’s garage. Just a touch of nature in the city.